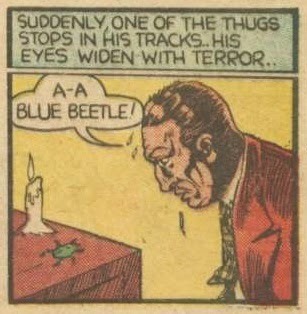 The Blue Beetle made his debut in Fox's MYSTERY MEN #1, August 1939. 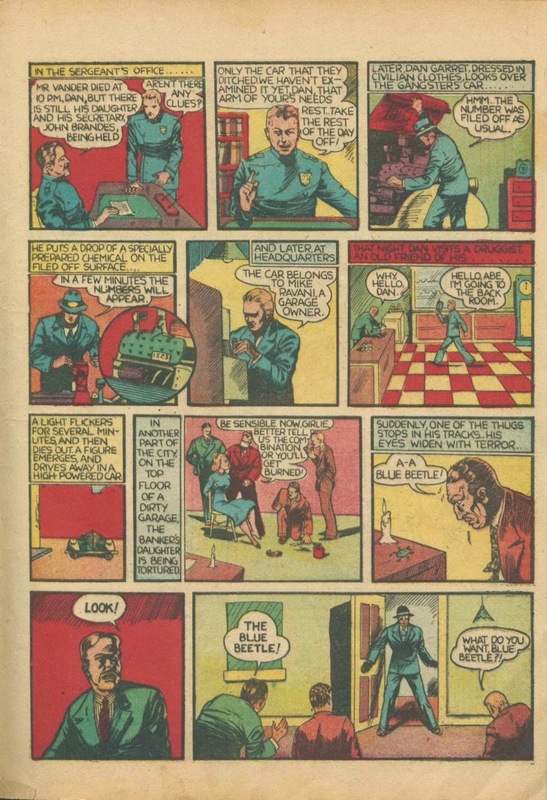 Created and drawn by the Eisner Studio's Charles Nicholas, this humble 4-pager gives little notice that the Beetle will go on to become one of the most popular and best selling characters of the golden age, and indeed, of all time. 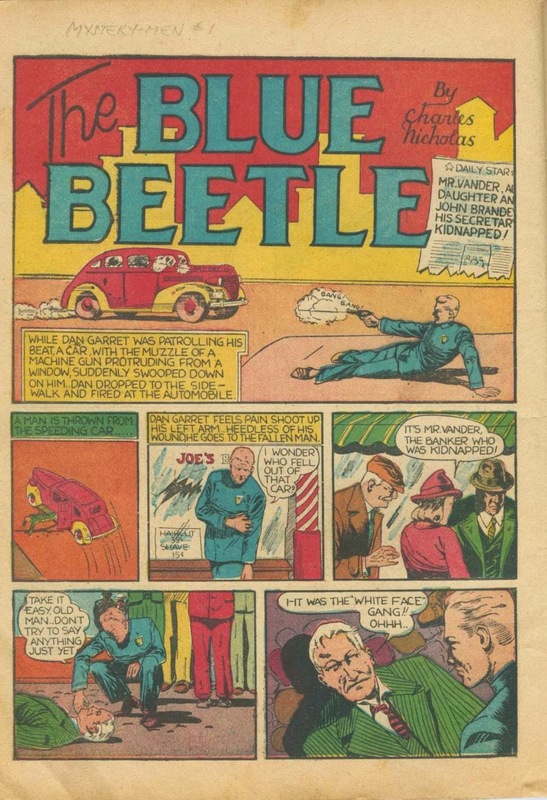 In this first adventure we are introduced to three of the series main players; rookie policeman Dan Garret,alias The Blue Beetle, his boss sergeant Mike Mannigin, and Abe (Dr Franz) who we will see later has a profound effect on the evolution of the Beetle. 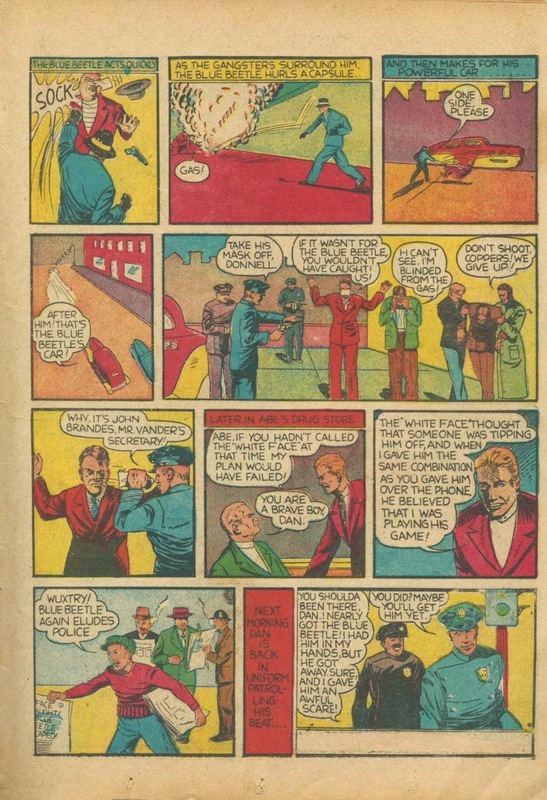 This first story was possibly written by Will Eisner, who contributed at least one text story in the issue, and one other comic story (a D-13 story). 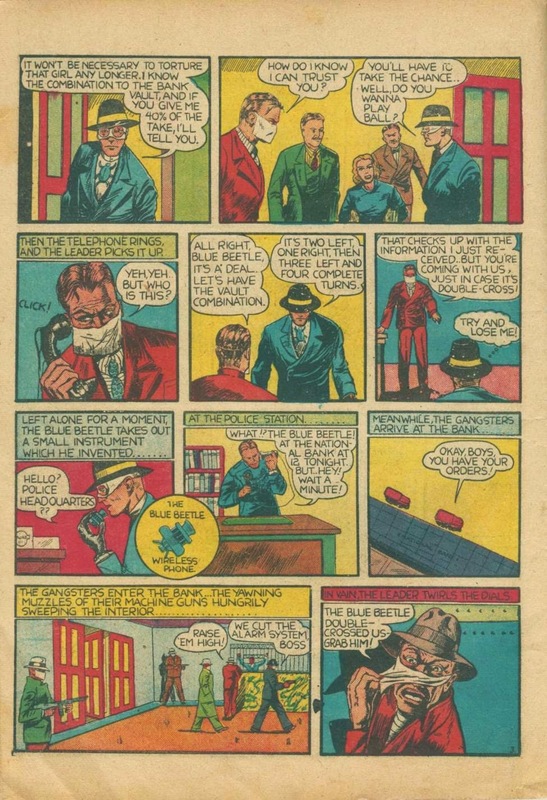 The Beetle's garb in this first go 'round is also very reminiscent of The Spirit, which Eisner would create, write ,and draw just under a year later. 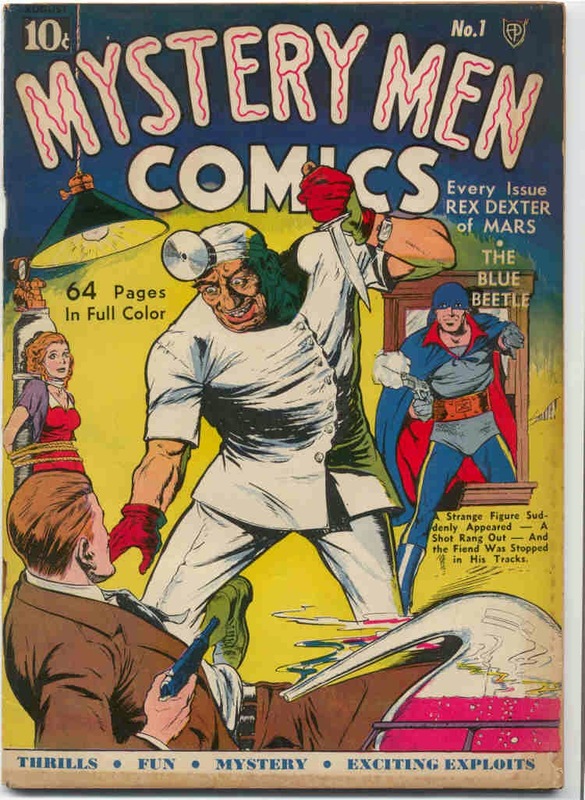 This story would be reprinted just five months later in BLUE BEETLE #1.